Cisco Key Expansion Module for Cisco IP Phone 8800 Series CP-BEKEM= Phone System Expansion Cards & Modules. 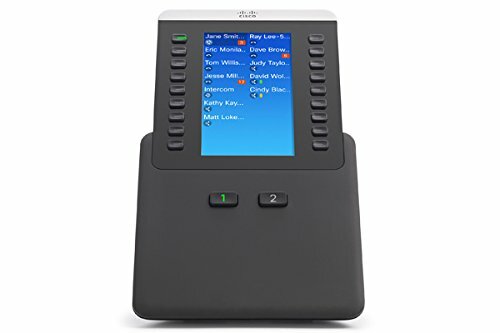 The Cisco Unified IP Phone Expansion Module 7915 extends the capabilities of the Cisco Unified IP Phone 7962G, 7965G, and 7975G models with additional buttons and an LCD display. 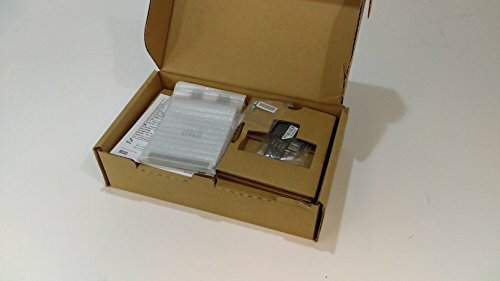 With this expansion module, you add 12 physical keys with access to 12 additional keys through the page keys for a total of 24 buttons to the existing six buttons of the Cisco Unified IP Phone 7962G (Figure 2) and 7965G models and the existing 8 buttons of the Cisco Unified IP Phone 7975G. You can use up to two Cisco Unified IP Phone Expansion Module 7915 modules (Figure 3) with the Cisco Unified IP Phone 7962G, 7965G, and 7975G models. 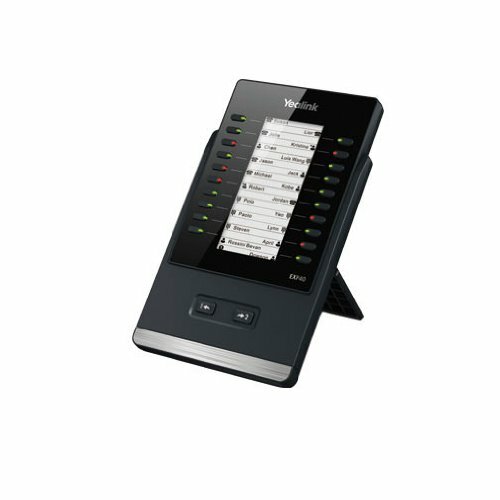 7916 Unified IP Phone Expansion Module extends the capabilities of the Cisco Unified IP Phone 7962G, 7965G and 7975G models with additional buttons and an LCD display. You can use up to two Cisco Unified IP Phone Expansion Module 7916 modules with the Cisco Unified IP Phone 7962G, 7965G and 7975G models. 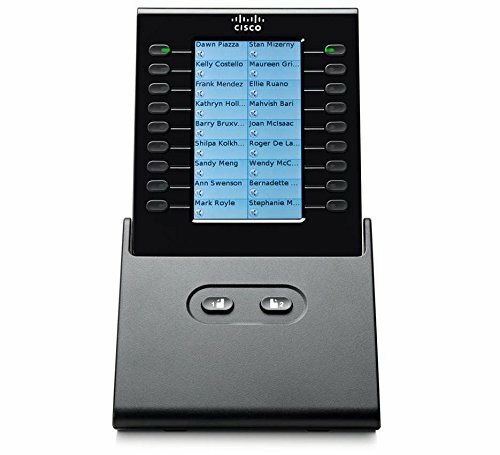 The large LCD display of the Cisco Unified IP Phone Expansion Module 7916 allows for quick and easy identification of associated buttons. Using the Settings menu of the Cisco Unified IP Phone 7962G, 7965G, and 7975G models, you can adjust the brightness of the individual LCDs for these phones and the Cisco Unified IP Phone Expansion Module 7916 according to your preference. Requires Cisco Communications Manager. 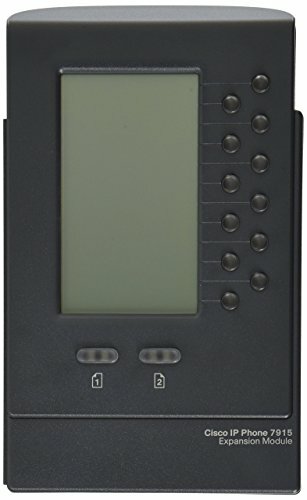 The EXP39 module features a 160×320 graphic LCD and 20 physical keys which feature dual-colour LECs to enhance the ease with which functions are set and used. A further 20 keys are available via a page switch feature. In addition the ability to 'daisy chain' up to six modules via RJ11 line cord yields a total capacity of up to 240 programmable keys, each supporting all of the handset's IP/PBX capabilities. 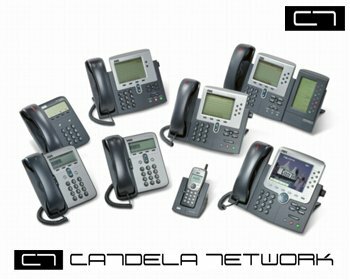 These include functions such as SMS, BLF, BLA, paging, speed dialling, intercom and call transfer, park, pick up and return. 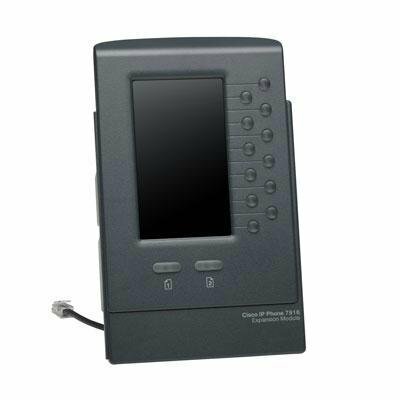 The OBi1000e sidecar provides 16 additional feature keys to be used with its host OBi1000 Series IP phone. 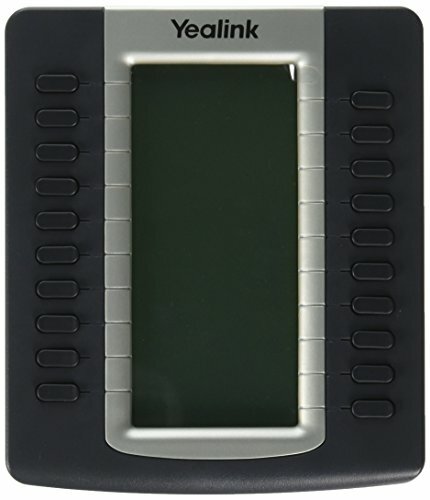 Yealink EXP40 LCD Expansion Module for SIP-T46S, SIP-T46G, SIP-T48S and SIP-T48G. The yealink exp38 expansion module has been designed to improve the power and flexibility of advanced sip-t28p and sip-t26p yealink ip phones. It features a 38 fully-programmable dss key search function, each with a dual-color led. The module is connected to and controlled by the ip phone with an rj-12 cable line. Up to 228 additional programmable extensions are created when six exp38 units are daisy-chained together with the ip phone. 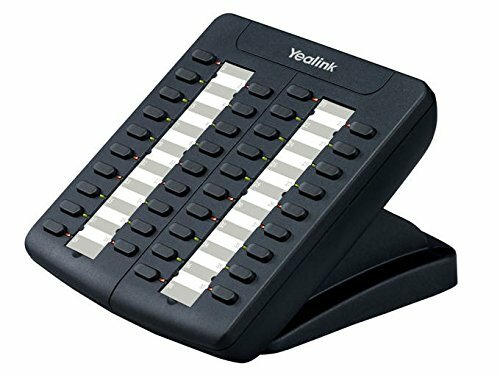 Yealink's advanced ip phones also have ip-pbx support functions, such as speed dialling, and blf/bla, , call forward/transfer/hold/park/pickup/return via programmable exp38 buttons. The yealink exp38 is ideal for receptionists, administrative assistants, call-center agents, power-users and executives who need to monitor and manage a large volume of calls on a regular basis. 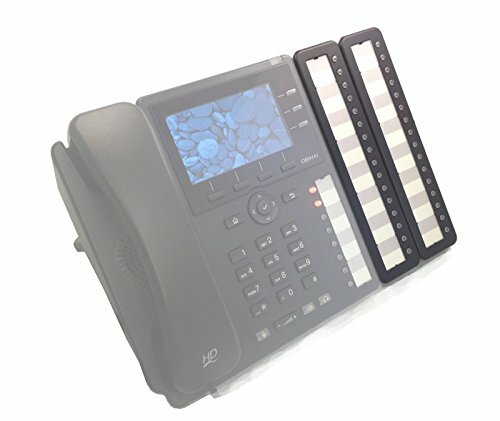 Compare prices on Ip Phone Expansion Module at ShopPlanetUp.com – use promo codes and coupons for best offers and deals. We work hard to get you amazing deals and collect all available offers online and represent it in one place for the customers. Now our visitors can leverage benefits of big brands and heavy discounts available for that day and for famous brands.